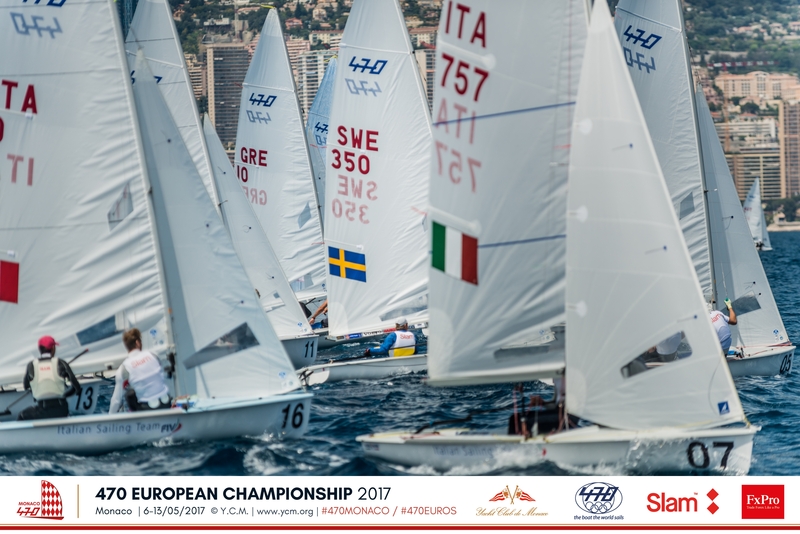 Day 3 of racing at the 2017 470 European Championship got underway soon after 1330 hours, with two races scheduled for each of the 470 Men and Women fleets. One race was completed for each of the men gold and women, before the fleets returned to the shore for around an hour’s postponement due to lack of wind. They headed back out to race again around 1700 hours, but the wind did not play ball, and just over an hour later the fleets were back ashore with all hopes of racing abandoned for the day. 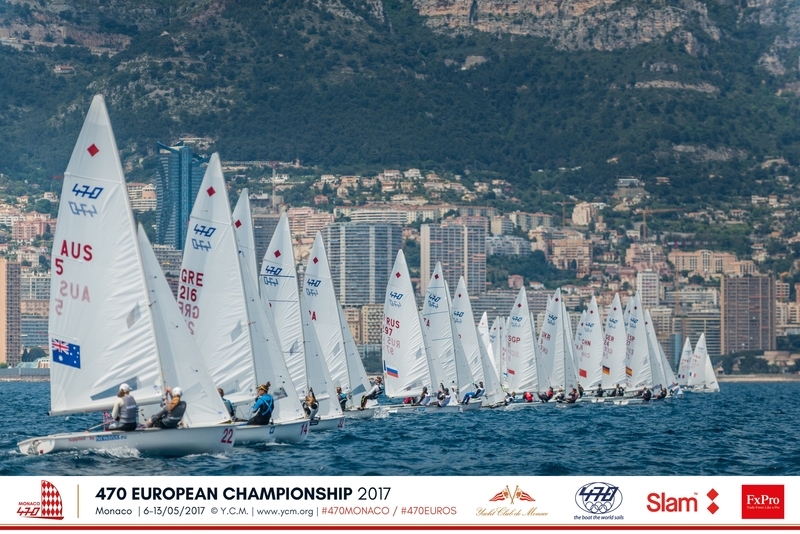 The 470 Men fleet are split into gold and silver for the six race final series, whilst the women continue their single series, with 11 races for all. The top 10 teams in men and women will advance to the double-points Medal Race on Saturday 13 May. Heightened anticipation here in Monaco not only as the 470 European Championship reaches its halfway stage, but also as preparations build up for the iconic F1 Monaco Grand Prix on 25-28 May. Taking place at the same time as Saturday’s medal races is the e-Prix, which uses a modified configuration of the GP street circuit. Start line ‘argy bargy’ forced the Race Committee to two general recalls for race 5 of the women’s fleet, before they got away on the third attempt, but not without eight teams taking a black penalty for being over early. 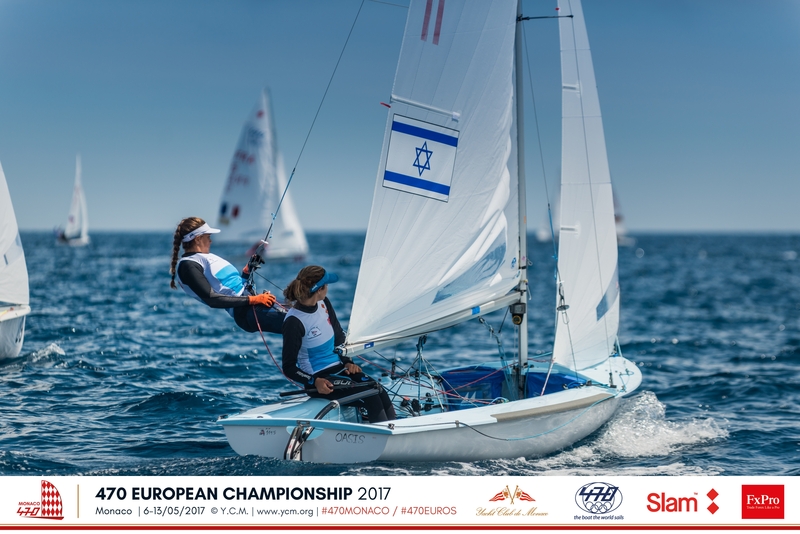 A win for Israel’s Noya Bar-Am/Nina Amir puts them into the lead, with Elena Berta/Sveva Carraro (ITA) stepping up to 2nd, and overnight leaders Mafalda Pires De Lima/Mariana Lobato down to third. 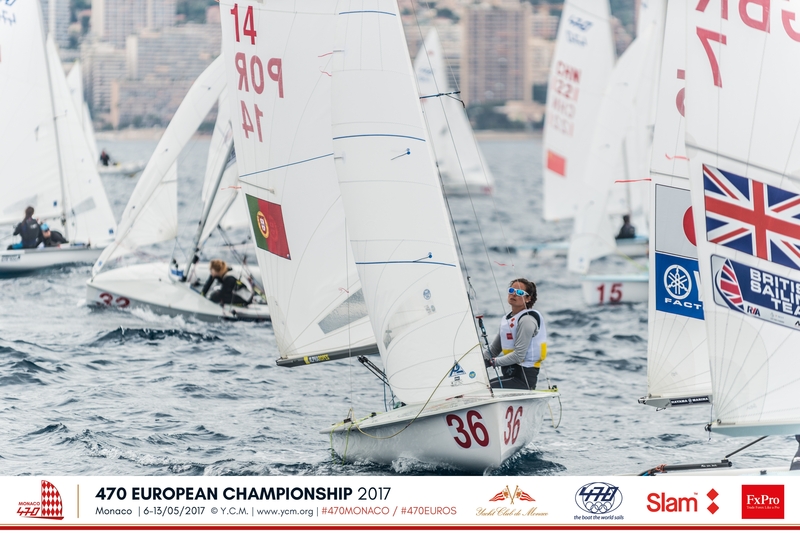 Bar-Am/Nina Amir achieve a career best, having never headlined a senior fleet 470 Class Championship before. Back ashore in between races, Bar-Am was trying to overcome sea sickness, which she had controlled during the race, but overwhelmed her soon after the finish, due to the combination of light wind and swell. 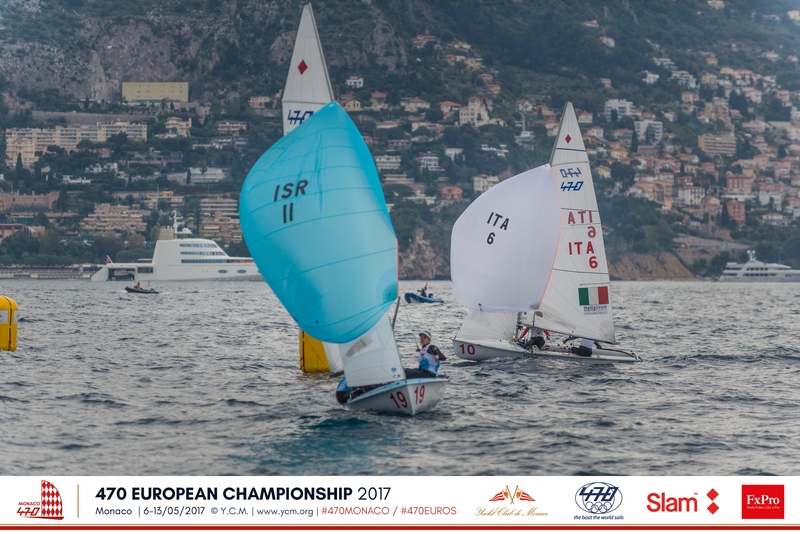 “The wind dropped in the middle of the race, so the boat jumps and it is not fun. Actually when the race ended I started to feel ill, as I had time to focus on something else than the race,” admitted Bar-Am. The pair have been influencing the playlist here in the sailors’ lounge, admitting that yesterday they complained about the selection, which was a bit ‘60s and ‘ruining their vibes’, so they took over requesting a switch including Amir’s current favourite “Despacito”. Rivalry on the race course is intense and not just between those pitching for front of fleet glory. The teams from Singapore and Malaysia, Elisa Yukie Yokoyama/Cheryl Teo and Nuraisyah Jamil/Ashikin Sayed have faced each other many times, and are currently 22nd and 24th respectively on the leaderboard. But their rivalry will be at its highest when it comes to one of Asia’s pinnacle events, the South-East Asian Games this coming August in Langkawi, Malaysia. 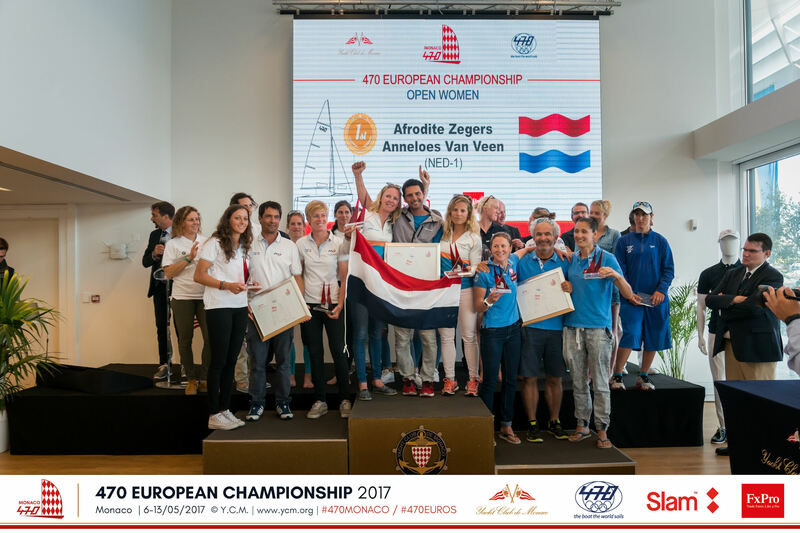 At the previous edition in 2013, Yukie won the 420 Class event and the Malaysians won in the 470 Class. This time around they will battle it out in the 470, but Jamil/Sayed carry the advantage of age and more experience. 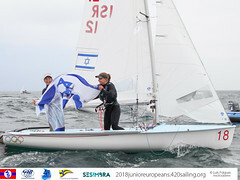 Yukie, who won the 2011 Optimist World Championship, joined up with her new crew Cheryl Teo last year, and at 17 years old Teo is the youngest sailor in the women’s fleet. ”I guess Cheryl is very open to the new information she is receiving and is really positive,” reflected Yukie on the new partnership. “Sometimes it can get a bit more overwhelming, but because Cheryl has less experience than me she does not get as nervous. 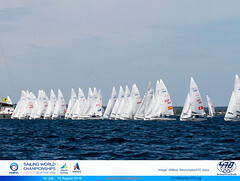 I have followed the 470 Class a lot and I know who are the good sailors, so try to stay away from them at the start. 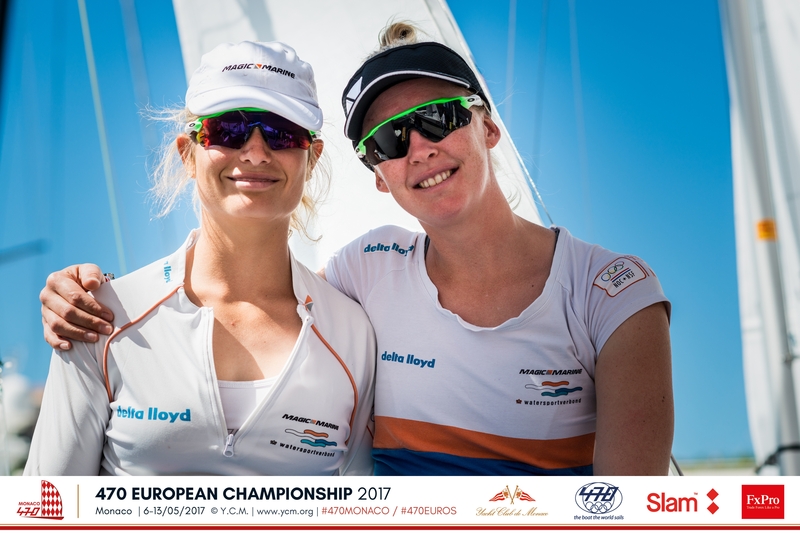 But she will be ‘just go for it!’"
The world #1 pair of Afrodite Zegers/Anneloes van Veen recovered their mojo today, displacing some rivals to claim a 6th place, and move up to 11th overall. 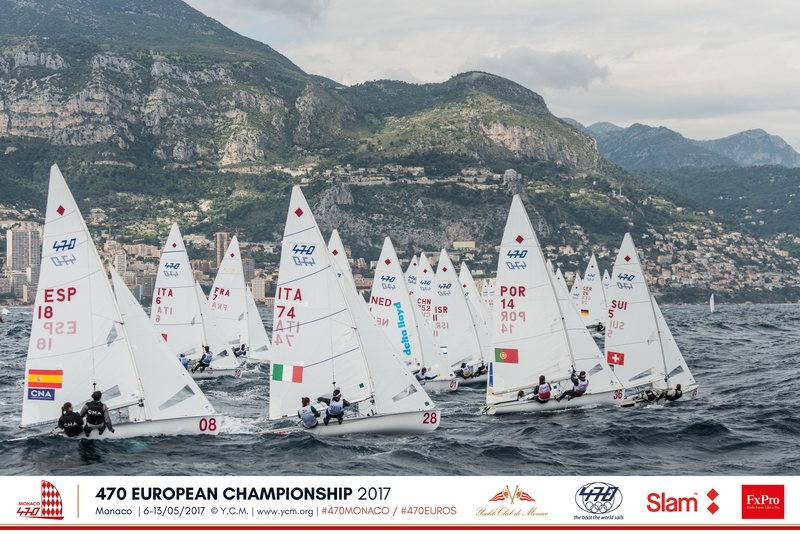 Game on now for the podium battle as the top 25 teams face off in gold fleet, with teams from 16 nations in the hunt. The fight is going well beyond the world #1 pairing of Carl-Fredrik Fock/Marcus Dackhammar (SWE) and the formidable Australian partnership of Mathew Belcher/Will Ryan, who have so far dominated. Today was the first opportunity for the two teams to face each other, and history shows that the Swedes have never beaten the Australians at an event – so it will be fascinating to see how their performance unfolds as the pressure mounts. 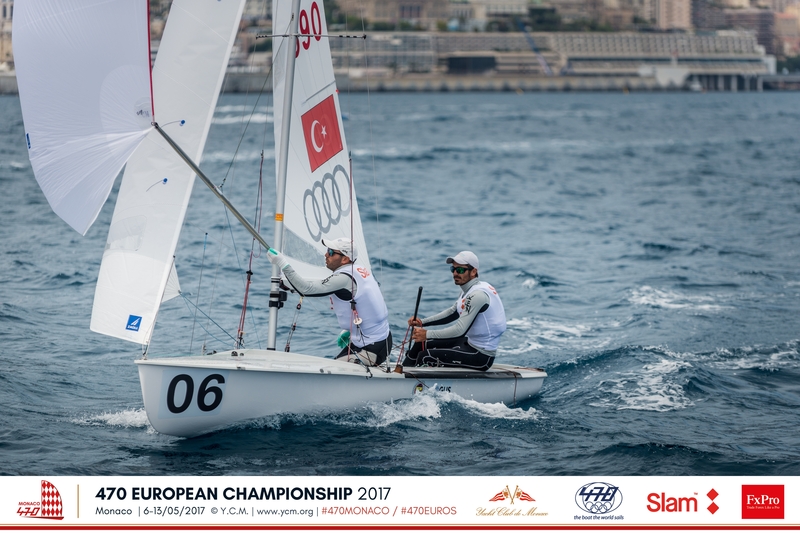 Turkey’s Cinar brothers took the early running in the gold fleet race, leading the Swedes and Portugal’s Costa brothers up the first leg. 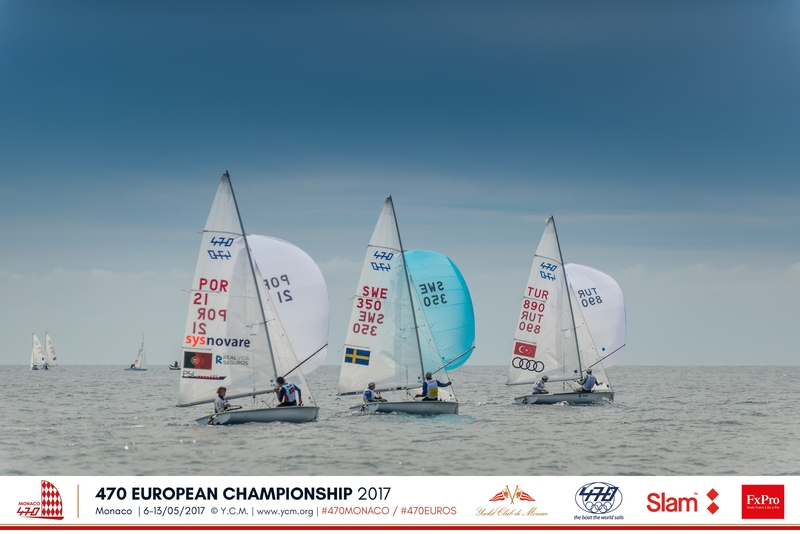 They held off the threats from behind, as the Swedish duo and then Spain’s Jordi Xammar/Nicolas Rodrigues attacked, going on to claim their 2nd win of the series and move up to second overall, with the Aussies 1 point behind in third. 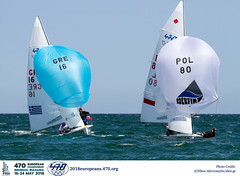 Belcher/Ryan carry an 11 point deficit to the leaders, Fock/Dackhammar, who they beat in their last meeting at Sailing World Cup Hyères last month. The Australians’ Rio 2016 campaign was intensive and they have taken a much need six-month break, with Belcher moving back to Australia with his wife and children after being based in Europe for several years. Thursday is set to be a breezy day here in Monaco, so wisely the Race Committee has scheduled three races for all fleets. Looking forward to around 14-16 knots, with the 470 Women kicking off first at 1200 hours, followed by Men Gold, then Men Silver.